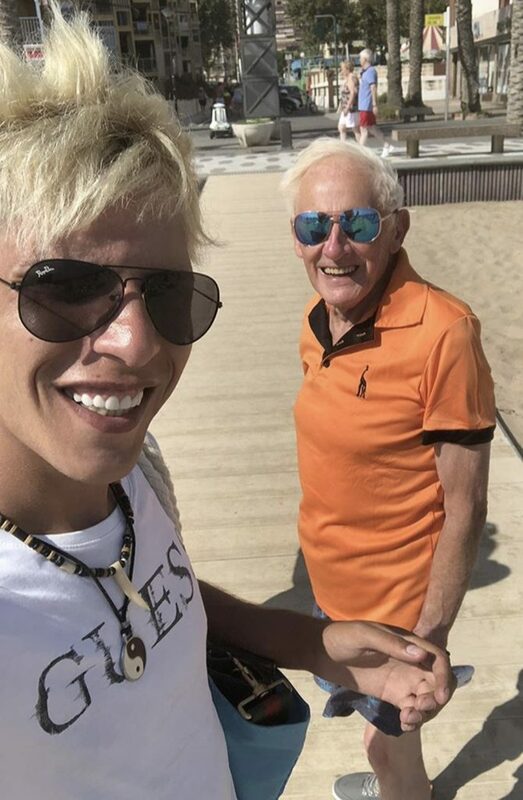 A retired priest who married his toy boy – 50 years his junior – claims he’s happier than ever despite the pair living 1500 miles apart. 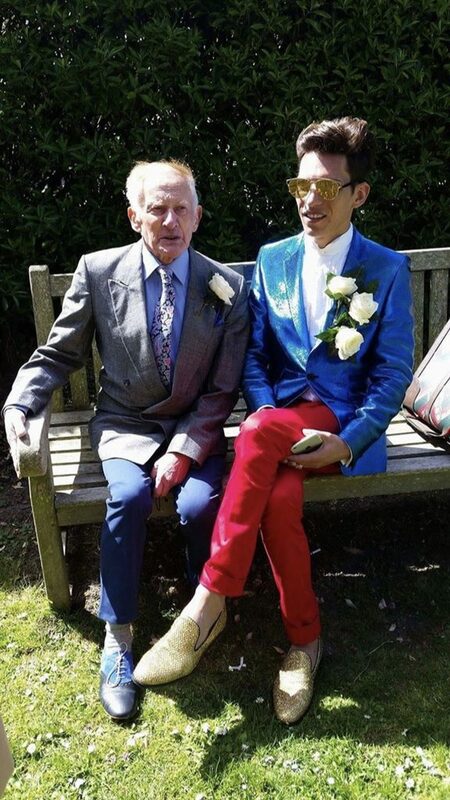 Philip Clements, 80, married Florin Marin, 25, in 2017, after the pair first met four years ago online. But last summer, Florin – who is originally from Romania – landed himself a job at Alicante airport with a car rental company and the pair have been forced to live separately ever since. Doting Florin has flown back every few months to be reunited with Philip since relocating and the pair claim they’re more in love than ever. 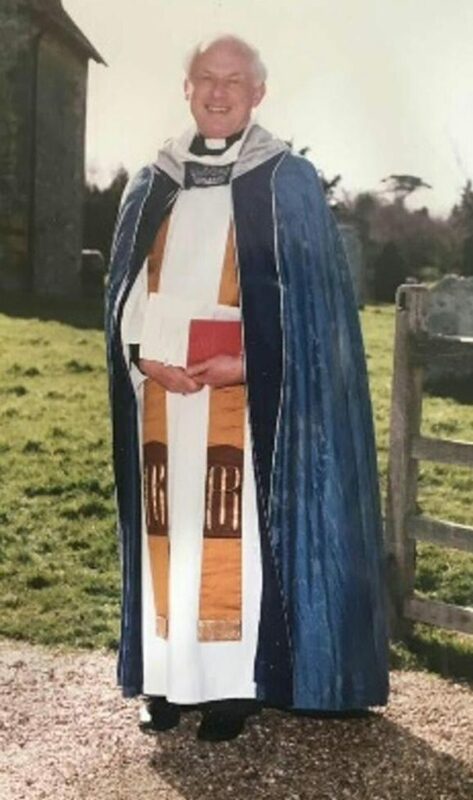 Retired priest Philip, from Maydensole, Dover, said: “Florin is my first long and meaningful relationship since I retired from the church, I am just so in love with him. “He is the funniest man ever, he makes me laugh until my belly hurts. “Laughter is such an important ingredient to our marriage. Florin is the most amazing man and is so handsome. Pic by Caters News: Philip Clements, now 80 when he was still a member of the church. “I hate it when we are not together, but we have accepted it and we are now stronger as a couple now we live apart. “Being miles apart doesn’t affect our relationship at all, we talk daily on FaceTime and I look forward to catching up and hearing about his day at work. “Not being with each other every day makes it more exciting, I literally count the days down until I see him again. “I can’t get too excited though because my heart would probably give up! “We hope to one day get a place together in Alicante and I would stay for two months at a time. “As he is much younger, I want to give him the chance to be free and hang out with his friends and have fun. Florin, who is also an aspiring model, said: “Some people might say what have we got in common when we are 50 years apart, but actually we have loads in common and enjoy each others company. “My family have accepted our marriage and think a lot of Philip which is amazing. “He is a clever man, he has taught me a lot over the past four years, Philip loves history. “I now know about the Victorian era and World War II, I like to listen to him. “We have fun when we go on holiday together, we go to the cinemas and eat lots of good food with good wine.